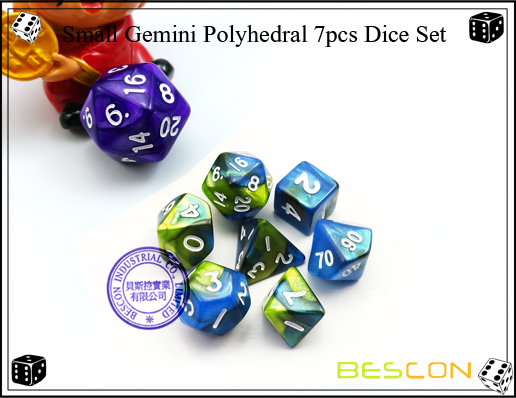 This is amazing tiny transparent polyhedral dice set. 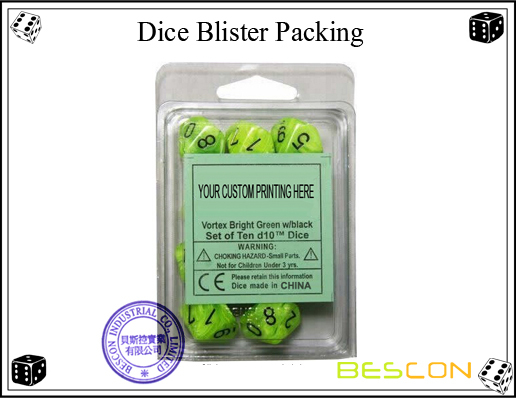 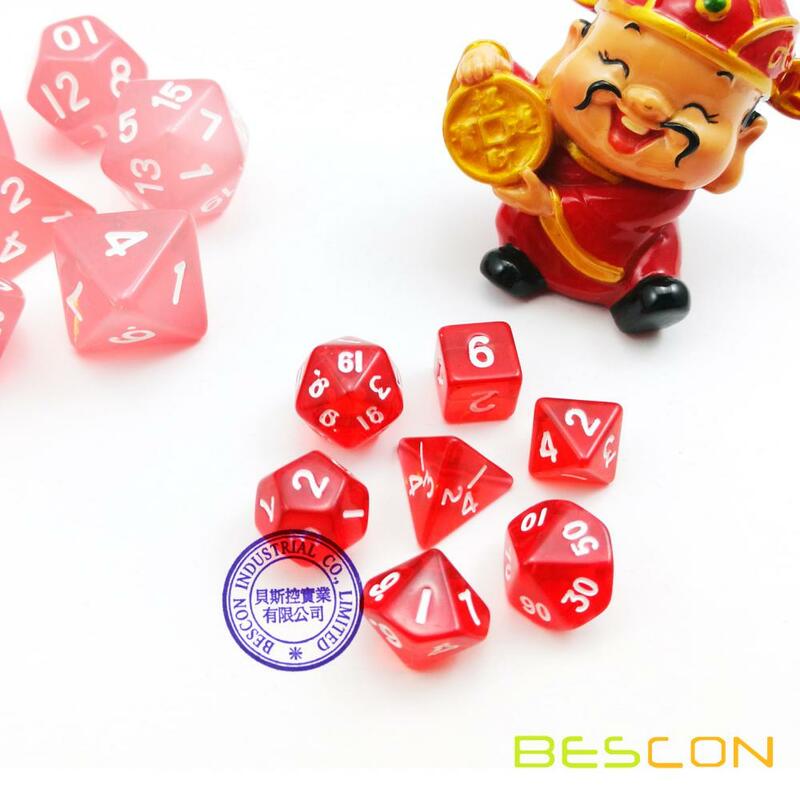 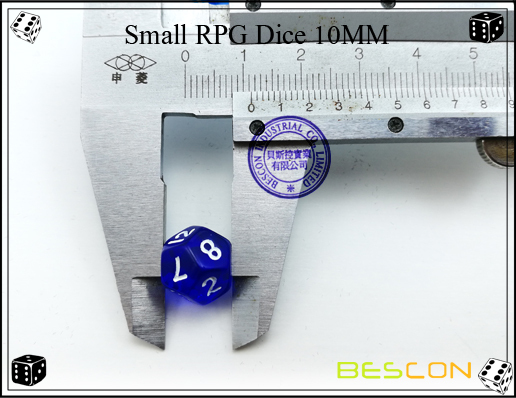 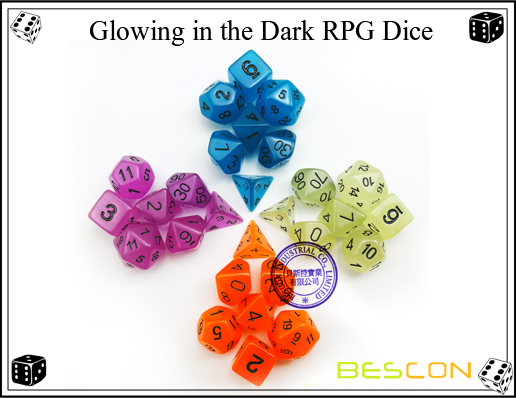 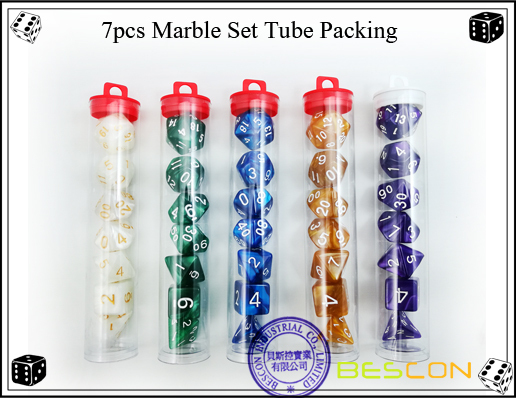 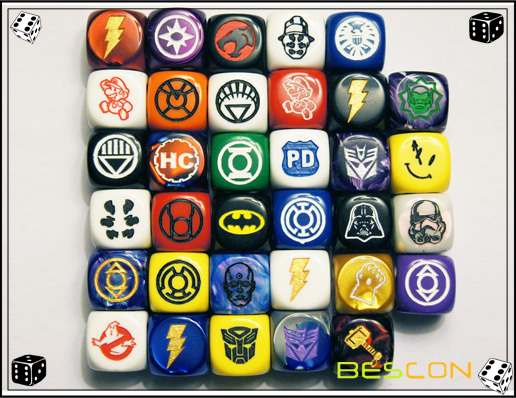 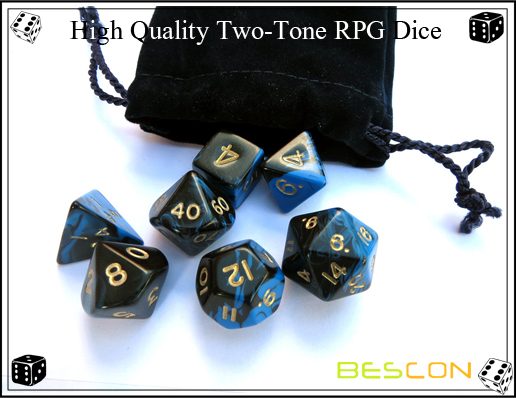 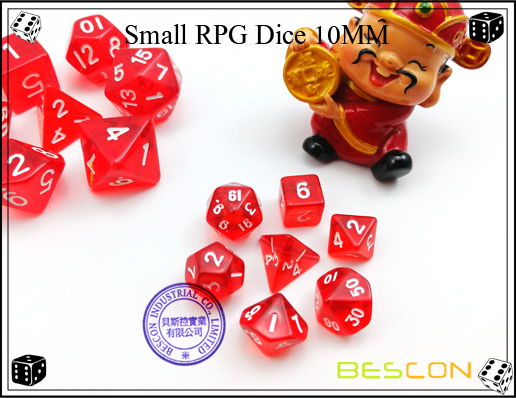 With die size of 10MM-12MM, it is around half size of normal RPG dice. 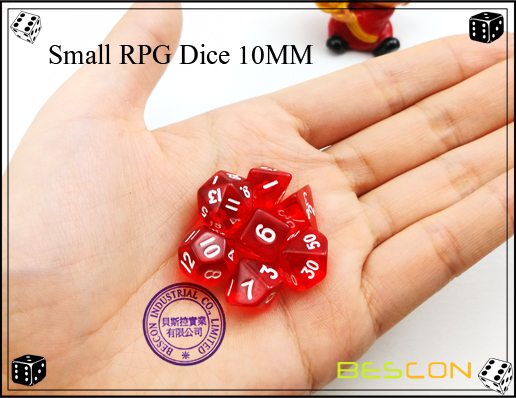 This set is so small to hold in hand. 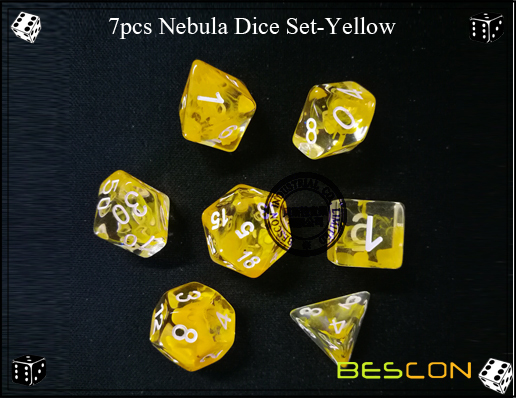 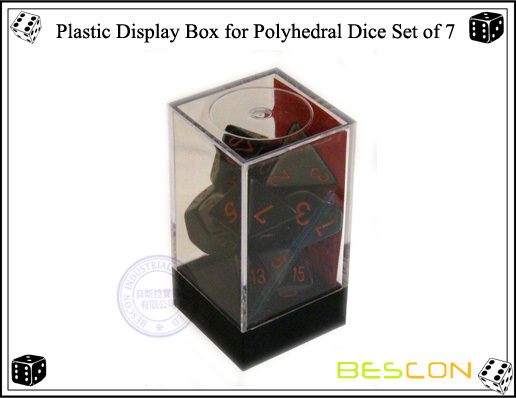 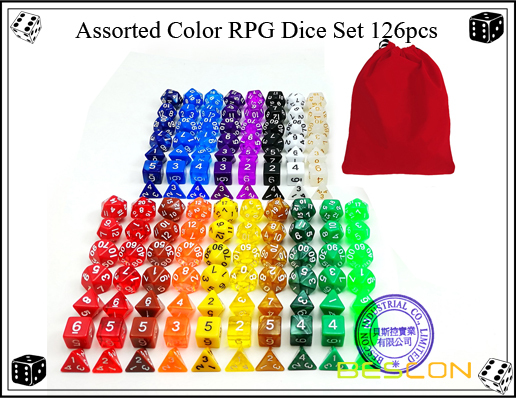 The set contains one d4, one d6, one d8, one d10, one d%, one d12, and one d20. 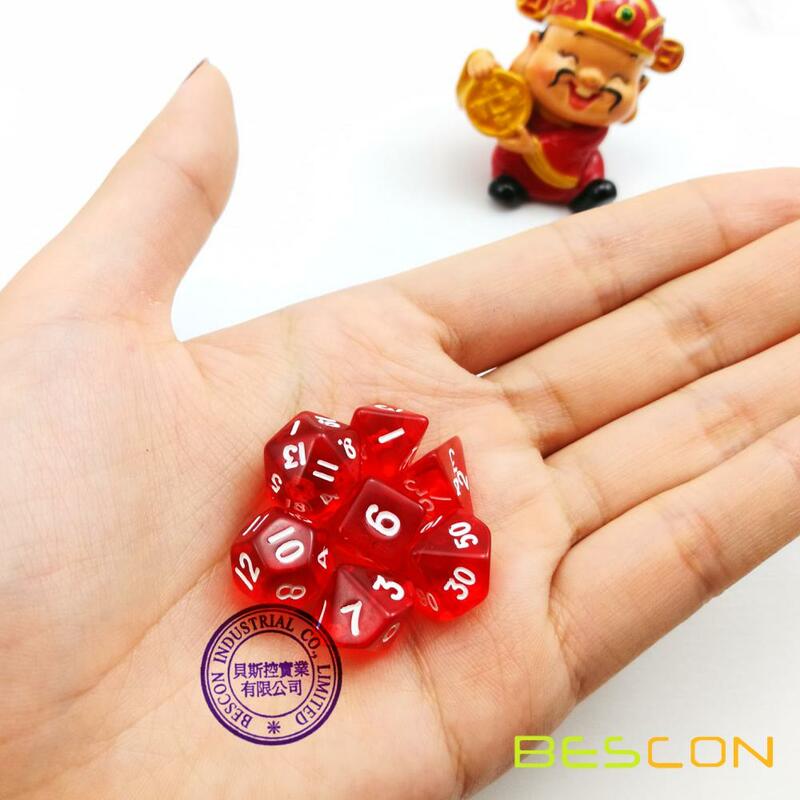 You will fall in love playing with them!